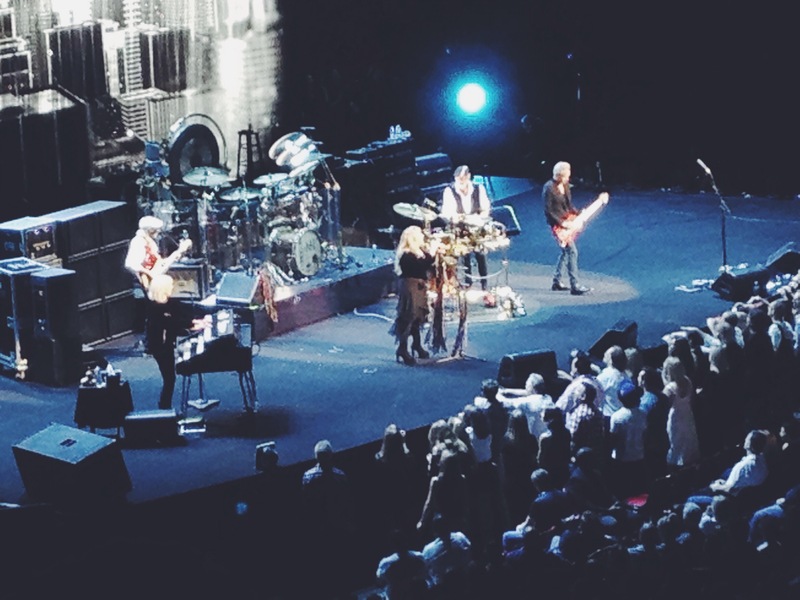 Laughs, tears and massive cheers – Fleetwood Mac truly rocked! For just under three hours, Sydney’s Allphones Arena was inundated with immense energy and indescribable talent. Admit it – how many times have you left a concert with wet cheeks and a smile from ear to ear? Not for a while? Never? Well you’ve obviously never been to a Fleetwood Mac concert. As corny as it sounds, the On With The Show Tour is more of an emotionally-invested experience than simply a musical performance. With Stevie Nick’s powerful pipes, Lindsey Buckingham’s phenomenal guitar skills, Mick Fleetwood’s energetic beats on the drum kit, Christine McVie’s strong musicality and John McVie’s truly underrated bass work, this is the type of show that is at the top of any music lover’s bucket list. Fleetwood Mac was not simply running through songs off a rigid setlist. Their performances exploded with love and appreciation for not just each other, but the audience too. From Tusk to Gypsy to Everywhere and Don’t Stop, Fleetwood Mac performed hit after hit to an emotionally-engaged audience. At one point, a pin could have been heard dropping. We were all under the influence of this legendary band’s spell. During Buckingham’s incredible guitar solo, a male fan vigorously exclaimed “You’ve still go it!”, and I most definitely agree. Much like a good bottle of wine, Fleetwood Mac has matured with age. Their voices and general musicality is absolutely astounding – qualities that are a rare find in our current musical landscape. The wonderful part of this concert was noticing the varying ages of the audience-goers. From children with Fleetwood Mac t-shirts to seniors rocking it out like nobody was watching, this truly was a once in a lifetime experience. I cannot stress enough how incredible the night was. To be in the presence of legends like Fleetwood Mac is a dream come true and an experience in itself. If I could change one thing, it would be that I’d have bought a ticket for their two other Sydney shows. One show is simply not enough. So, don’t stop thinking about tomorrow, and grab yourself some Fleetwood Mac tickets! Click here for upcoming tour dates.